Jump in the car and race as fast as you can in this runner game! 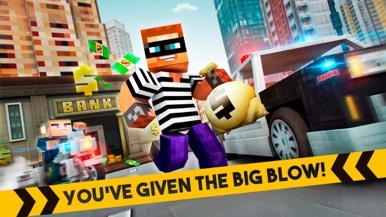 You have just robbed a lot of money and are driving on a highway road with the police behind you! You can smash the cops cars at the side to send them right into the wall! This is a endless racing game, so you can spend hours and hours improving your skills! You can choose between 30 different cars and start the race. 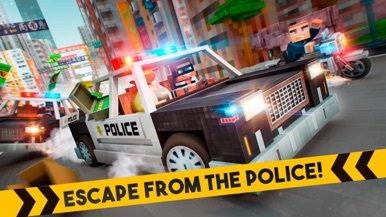 Compete with your friends to see who can survive the longest in this amazing police car chase game! There is also a multiplayer function that allows you to play against your friends and other players! 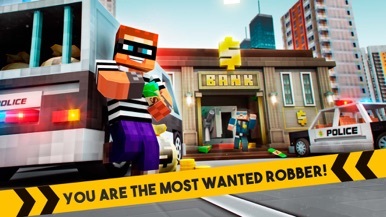 Still not convinced to play this awesome cops runner game? With our intuitive controls, you can easily control your car and slalom between the obstacles. Only with your finger on the touch-screen of your favourite device. The runner being endless, more you advance, more you want to survive! And the best is that it becomes more difficult because the police becomes more aggressive so you have to go faster to lose them. There are coins you have to collect during your escape in order to save more money! ◉ Infinite runner, Endless fun! ◉ High speed and bonuses! ◉ Great police chase sensation! ◉ Speed, Jumps & Obstacles! ◉ Unlock new features in the virtual store! ◉ Many missions to complete! ◉ Play with the police! It's summer time and things are heating on the waterways of this tropical paradise as boats come, go and rush about. You must help to keep all the water traffic flowing and prevent a crash from occurring. The rush is on...how long can you survive? This is a operation supporting APP for smart suitcase . You can operate on suitcase lock and unlock use the APP. You can weighing the suitcase when you pull up the suitcase. You will receive a notification in notification center through this APP when you lost your suitcase. You can view every operation time in this APP.